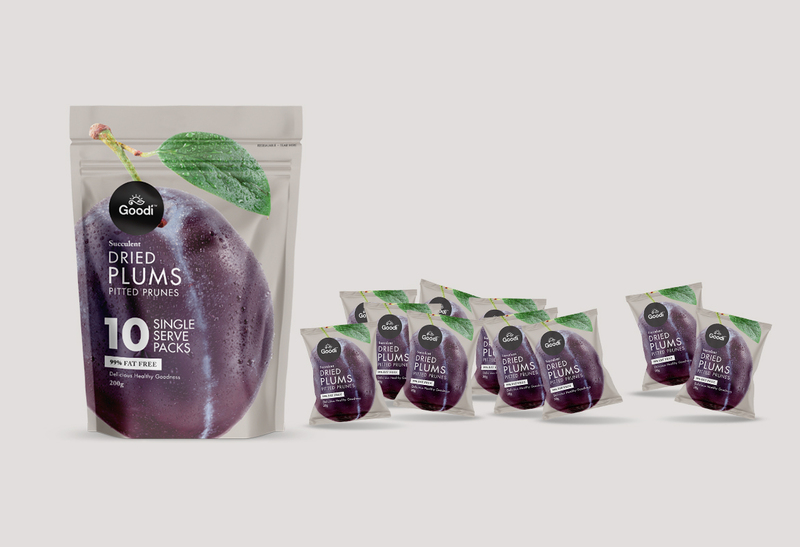 Yep, this NEW Challenger Brand is looking to break the market! 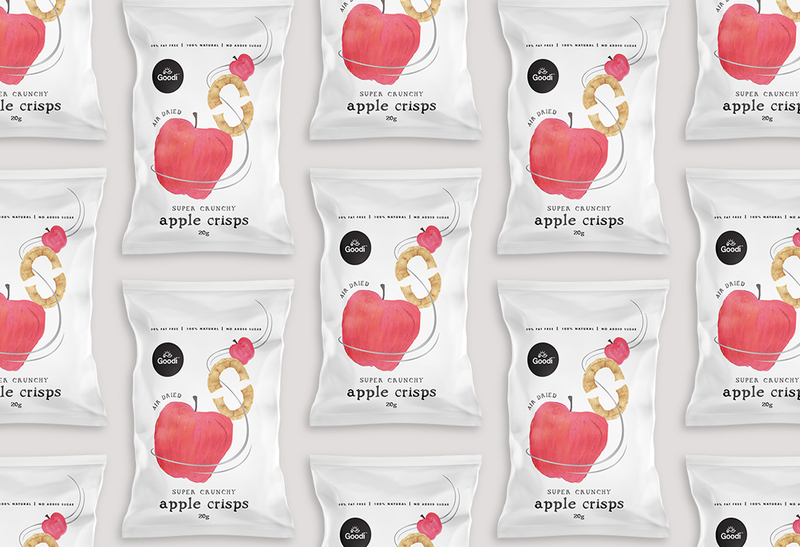 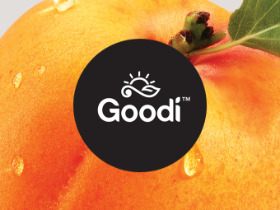 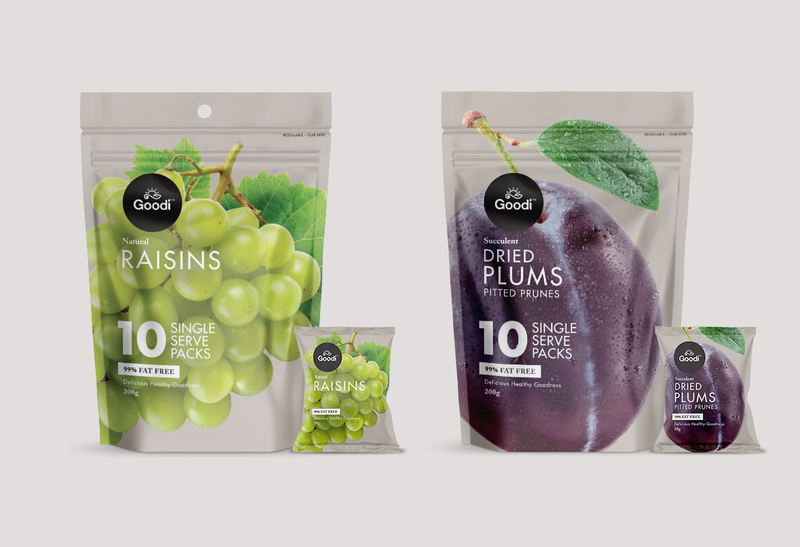 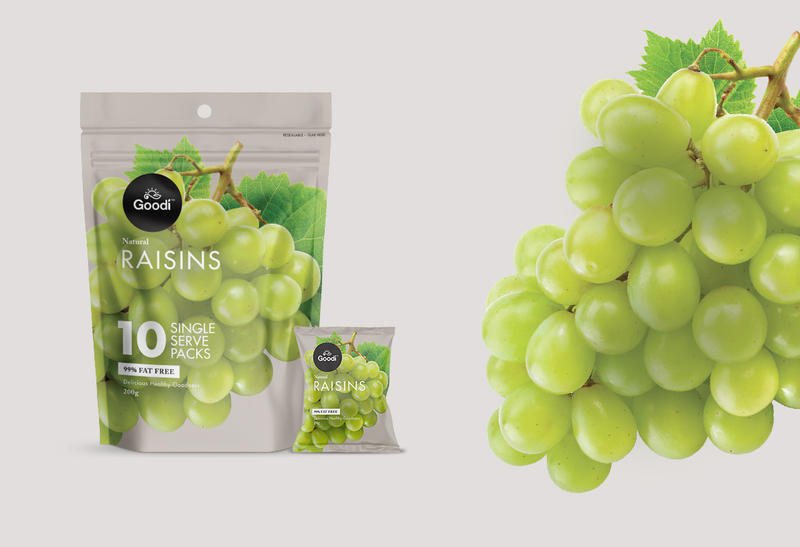 Our primary task was to challenge existing Dried fruit product packaging - moving away from the garishly coloured packaging of competitor brands and visually highlight the simplicity of the ingredients within Goodi products - choosing to hero bold, clean, fresh, natural fruit imagery, coupled with clean and simple typography. 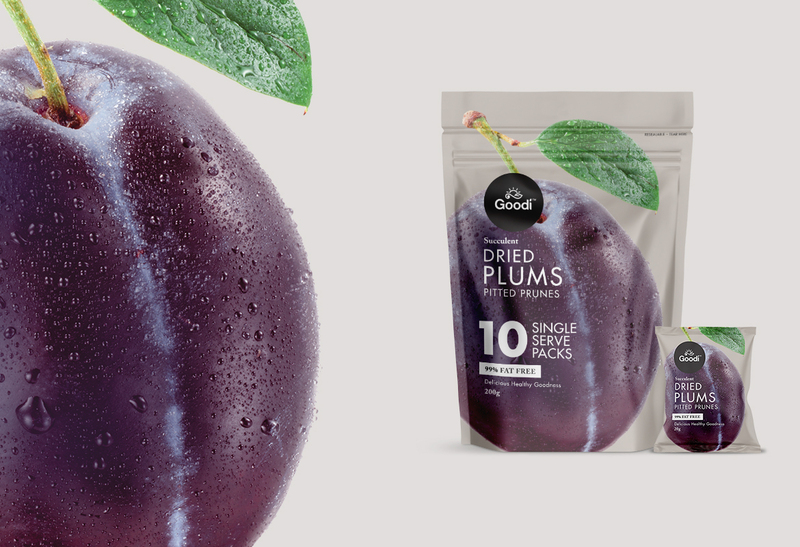 This bold, clean approach to the pouch designs would help them pop on shelf, and subliminally highlight the simple, clean ingredients contained within each pack. 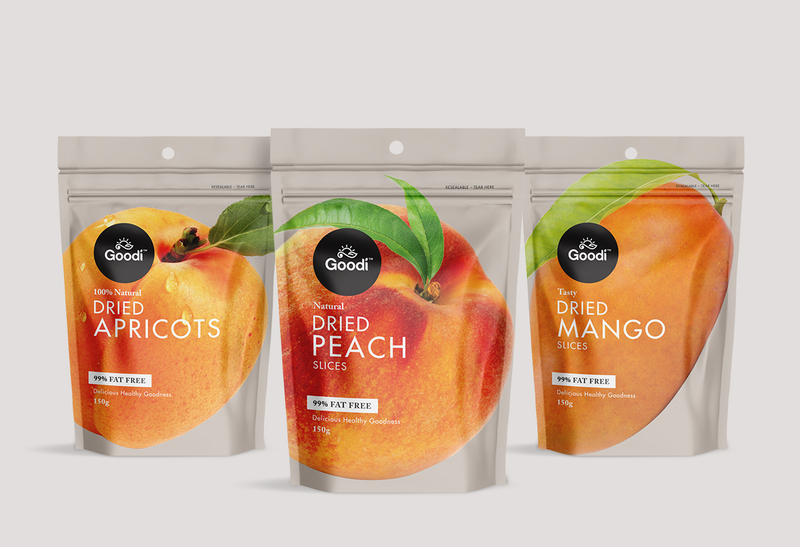 We built cohesiveness of the brand through story telling on back of pack - using brand language that spoke to a predominantly female audience. 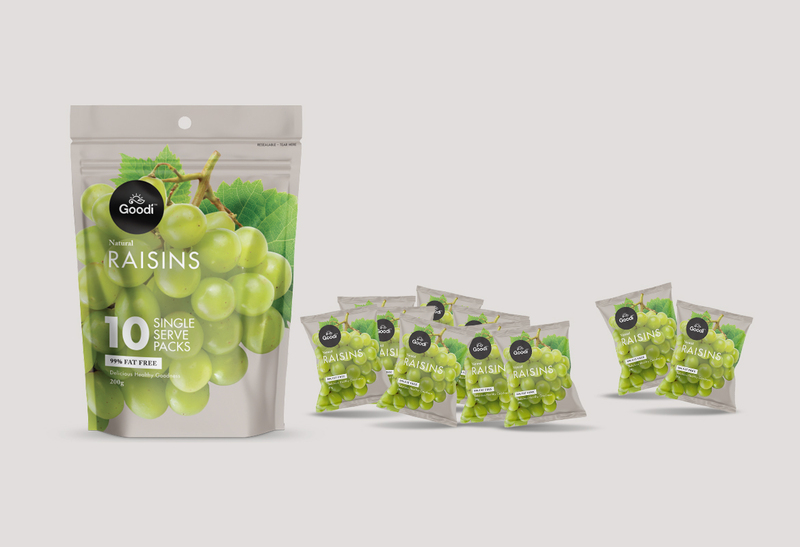 The tone - informal and friendly - highlighted the nutritional benefits of the simple ingredients contained in each pack.